One of the best known and most popular nootropics, Piracetam delivers a range of cognitive benefits, including improvement in memory, learning ability, alertness, and focus. 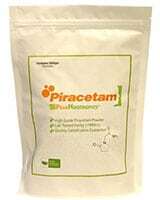 Having been discovered in the 60s, Piracetam has now been on the market for over 50 years and has been the subject of many studies evaluating its efficacy and safety. Piracetam delivers a range of cognitive benefits, including improvement in memory, learning ability, alertness, and focus. 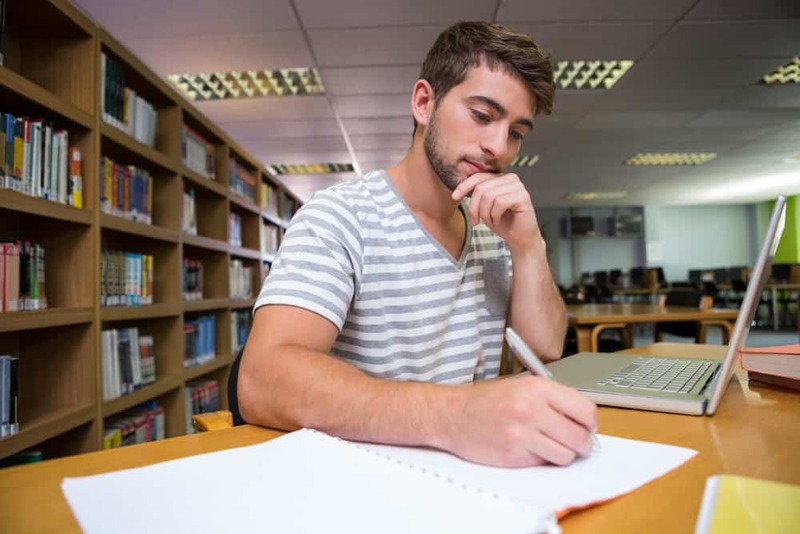 >> Looking to Buy Piracetam? Get it here for less than 20¢ per dose. Piracetam has been shown to have significant neuroprotective effects, and many people will attest to its cognitive enhancement properties. However, in a market saturated with nootropics claiming stronger and wider-ranging effects than Piracetam, it’s understandable that some users want more than Piracetam can deliver. 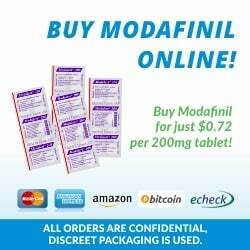 It’s true that Piracetam is now one of the less potent nootropics now available, and its onset of action is also comparatively long. But rather than abandoning one of the safest nootropics on the market, consider stacking Piracetam with other nootropics to increase the magnitude of its effects. If you’re new to Piracetam, consider starting by dosing on its own for a few weeks to see how it works for you. This is safer, poses less risk of side effects, and will make it easier for you to ultimately assess how different stacks compare with Piracetam alone. A good starting dose is 1500 mg daily. Some sources recommend much higher doses – up to 20 grams per day – but many of these recommendations are based on studies looking at the use of Piracetam in people with cognitive disease. In healthy individuals, the required dose is likely to be lower. The fact is, there’s still a lot we don’t know about the effects of Piracetam in healthy people, so the best shot is to start low and gradually build up your dose until you reach a good balance of effects. Everybody’s body processes nootropics differently, and what works for one person may not necessarily be right for another. Before starting on any nootropic, it’s wise to record your baseline levels of mood, focus, memory, attention, productivity, and so on. How else will you be able to judge whether the nootropic actually delivers any benefits? It’s never easy trying to quantify these things, so consider using a website or app that can help you track your cognitive function. Then, each time you use a new nootropic, repeat this self-assessment to determine whether you are getting the desired effects. As with anything, you can’t expect a miracle overnight, so make sure you allow a few weeks before passing judgement. To make an informed decision about what to stack with Piracetam, you must first have a basic understanding of how it works. Piracetam is thought to act through a range of mechanisms, but there’s one key mechanism that’s critical to understanding how stacking works. Piracetam increases uptake of choline at muscarinic cholinergic receptors, leading to increased production of the neurotransmitter acetylcholine and its receptors. Acetylcholine, in turn, has a myriad of important roles in brain function and health. It is an important mediator of synaptic plasticity and neuronal communication, and is essential for memory and learning. In short, higher acetylcholine levels mean more effective cognitive function. When it comes time to choose exactly what you want to stack with Piracetam, you need to ask yourself one important question: What do you want to achieve? You might want to reduce your anxiety, improve your creativity, heighten your mood, or boost your energy levels. Maybe you just want to make sure you’re doing everything you can to achieve the best possible neuroprotection. Or perhaps you’re happy with the benefits Piracetam offers, but you want to see them to a greater extent. Once you’ve set your baseline, grasped how Piracetam works, and defined your aims, you’re ready to stack! Let’s have a look at the nootropics that are best suited for stacking with Piracetam. 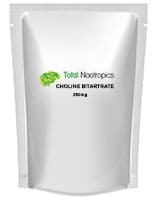 The combination of a racetam and choline is one of the most common nootropic stacks, and it’s easy to see why. Choline is an essential nutrient for the brain, because it is required for the synthesis of acetylcholine – the very neurotransmitter on which Piracetam works. 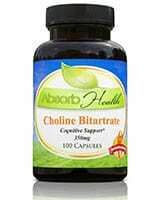 Choline can be obtained through our diet, but it’s generally present in low levels. Indeed, many people are deficient in choline, and this is likely to be a major reason why some people don’t experience the full benefits of Piracetam. 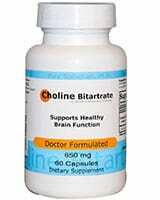 Choline is also a key component of neuronal cell membranes, which contributes to its neuroprotective effects. Even if you’re not deficient per se, supplementation is still wise. When you take Piracetam and your acetylcholine production increases, your brain’s requirement for choline increases along with it. The more choline the brain has to work with, the more easily Piracetam can do its job, and the lower the risk of side effects. In fact, it is thought that the headaches sometimes experienced by Piracetam users are a result of insufficient choline levels, leading to acetylcholine receptor ‘burnout’. By adding choline to Piracetam, you can expect to see greater improvements in mental clarity, memory, and general cognitive function than with Piracetam alone. While all this is yet to be unequivocally proven in humans, strong evidence exists in rats. In studies conducted on rats in the 1980s, memory was found to be enhanced when either Piracetam or choline was given in isolation, but only to a small extent. However, when they were combined, a several-fold improvement was seen. That is, choline has a massive potentiating effect on Piracetam, and vice versa. Alpha-GPC is a highly refined form of lecithin and contains about 40 percent choline by weight. While it isn’t completely absorbed in the gut, a large portion of that choline does reach the brain. 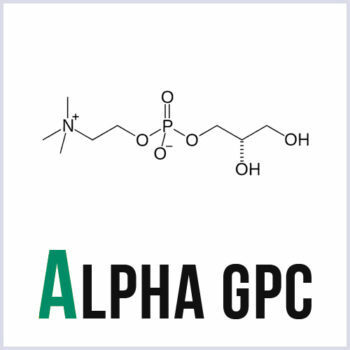 Alpha-GPC has consistently demonstrated greater beneficial effects than CDP-choline, which is thought to be due to its glycerophosphate group, which is crucial for its incorporation into neural cell membranes. Alpha-GPC also enhances growth hormone production and is therefore favoured by some athletes. 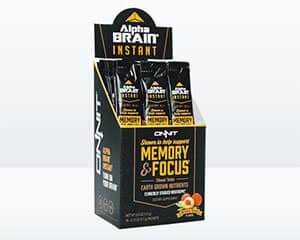 A dose of 1,200 mg has been used in most studies examining the effects of Alpha-GPC on cognitive function, but as part of a stack with Piracetam, you’re better off to work out your dose based on a ratio of 1:8 with Piracetam. CDP-choline, also known as Citicoline, contains a lower proportion of choline than Alpha-GPC, but over 95% is absorbed, so it may provide just as high an effective choline dose. CDP-choline is a precursor of not only acetylcholine but also norepinephrine and dopamine, so it can improve motivation, energy and mood. Further, it has been shown to increase numbers of acetylcholine and dopamine receptors. 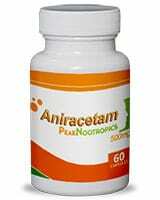 An appropriate starting dose is 250–500 mg, ideally in a ratio of approximately 1:8 with the dose of Piracetam. Centrophenoxine is an ester of Dimethylaminoethanol (DMAE), an excellent choline source that is naturally produced in brain tissue. Inside the brain, DMAE is incorporated into nerve cell membranes, where it exerts powerful antioxidant properties. Centrophenoxine has also been found to stimulate glucose and oxygen metabolism in the brain, which likely improves alertness and concentration in the short term, and helps clear waste products from the brain. With long-term use, Centrophenoxine is highly neuroprotective. Centrophenoxine is typically prescribed at dosages of 500–1000 mg per day, but as a nootropic about half that dose should suffice. 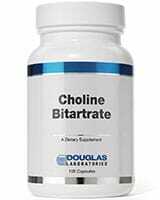 Choline salts are cheaper forms of choline that are much less potent because they are quite ineffective at crossing the blood-brain barrier. To get any real effect from these you’ll need to supplement at a 1:1 ratio with your Piracetam dosage. If you like the effects of Piracetam but want to take them to the next level, consider stacking with some of the other racetams. 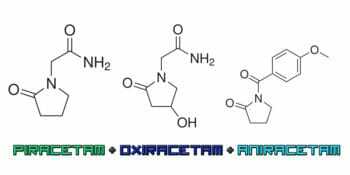 While Aniracetam and Oxiracetam have a very similar chemical structure and mechanism to Piracetam, they offer different benefits and act synergistically when used in combination. With the PAO stack, you can experience the full range of benefits the racetam family has to offer. 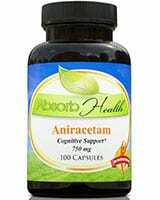 Aniracetam is faster acting than Piracetam and is thought to be particularly useful for alleviating social anxiety and improving verbal fluency, creativity, and sensory perception. Oxiracetam, on the other hand, seems to improve mood, energy, and motivation and heightens cognitive power. While the PAO stack can work wonders for some people, it’s not for beginners. You’ve got to work your way up to this one, and it’s not a bad idea to pick either Aniracetam or Oxiracetam to stack with first, then add in the third racetam if you still feel you need more. This stack will, of course, increase the brain’s demand for choline, so including a choline supplement will give the best results. The combination of Piracetam and Pramiracetam, arguably the most potent of the racetams, is one of the most powerful stacks you can try. The benefits you experience will be similar to those with Piracetam alone, but more intense. In particular, some users report feeling very driven and motivated with this stack, allowing them to complete work more efficiently. 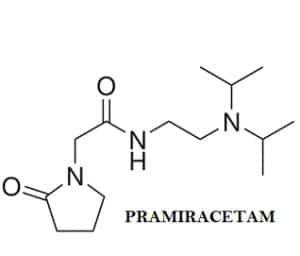 Pramiracetam is fat soluble and best taken with food. 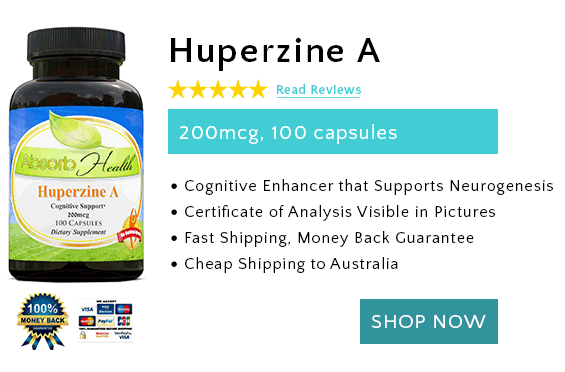 Huperzine A, which is derived from the Huperzia plant, works synergistically with Piracetam. 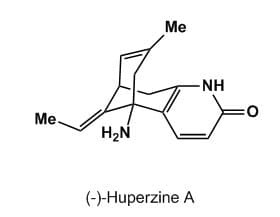 While Piracetam increases the levels of acetylcholine in the brain, Huperzine inhibits the enzyme that catalyses its breakdown, meaning acetylcholine sticks around in nerve synapses for longer. This extends the duration of Piracetam’s effects and may make them stronger as well. This is a nice choice for people who prefer natural supplements. Again, this stack could be further improved by the addition of choline. Safe, inexpensive, and all-natural, L-theanine and Caffeine represent another effective but mild combo to increase the efficacy of Piracetam. Both are known to improve focus, and the stimulant effects of caffeine are nicely balanced by the mild sedative effects of L-theanine. This is a great option for students wanting to perform at their best. The best ratio for L-theanine to caffeine is thought to be around 2:1. Another option is to stack Piracetam with an existing nootropic stack formulation, such as Alpha Brain or Focus XT. Both contain Choline and Huperzine A, as well as a host of other natural nootropic compounds. Piracetam is a versatile supplement that lends itself well to stacking with almost any nootropic; however, it makes sense to stack with something that will have a truly synergistic effect. 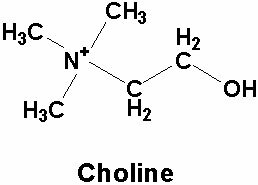 Choline would seem to be the clear winner in this regard; in fact, some would even argue that it’s a mistake to take a racetam without stacking with a choline supplement. Remember that all the recommendations in this article are very general. We’re all different, and our bodies will process these supplements in different ways. Be ready to adjust your ratio depending on your results, and if you’re ever unsure, check with a medical professional. If you tailor your stack to your individual goals and monitor and record your results with each combination and dose, ultimately you’ll find the perfect combination for your brain. Originally posted on November 24, 2016, last updated on December 1, 2018.